Monster Cable S-100 Speaker Cable with Speakon Connectors 10 ft. 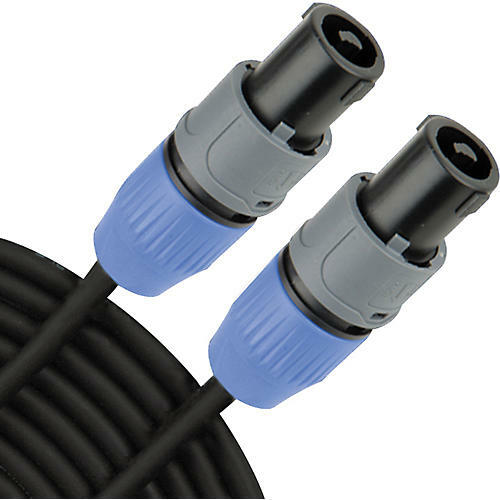 The Monster Cable S-100 Speaker Cable with Speakon Connectors is CL3 rated for in-wall installations. Magnetic Flux Tube construction and special cable windings for natural music reproduction. Monster Cable speakers cables give you impressive clarity, bass response, and dynamic range in a compact design. Durable and extra-flexible Duraflex outer jacket for superior reliability and cut resistance for stage and studio use. The new heavy-duty, molded connector design of the S-100 increases durability and resists damage.